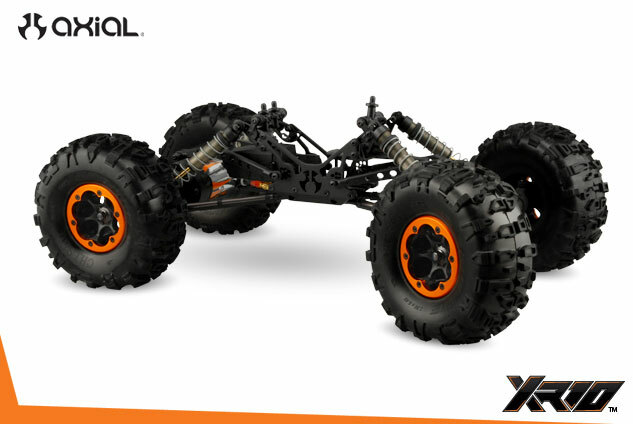 All new front and rear specific strong durable composite plastic, lightweight axles. 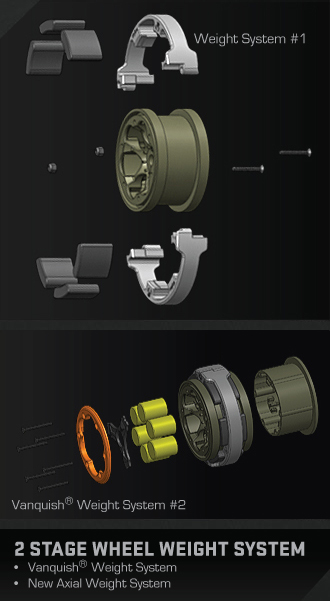 Low profile axle housing design for maximum ground clearance. 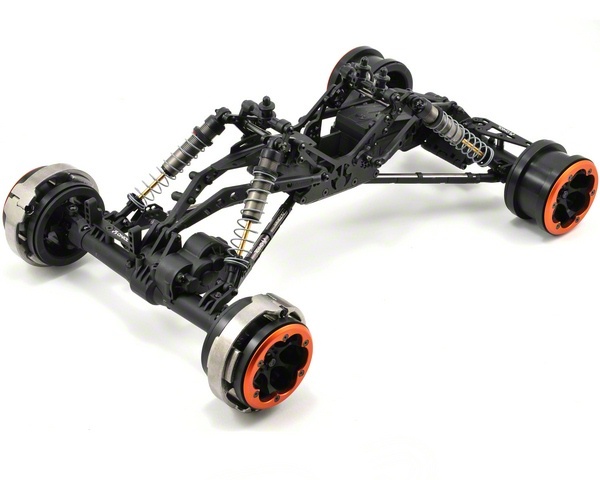 Front steering axle with the ability to rotate (clock) the motor up/down. 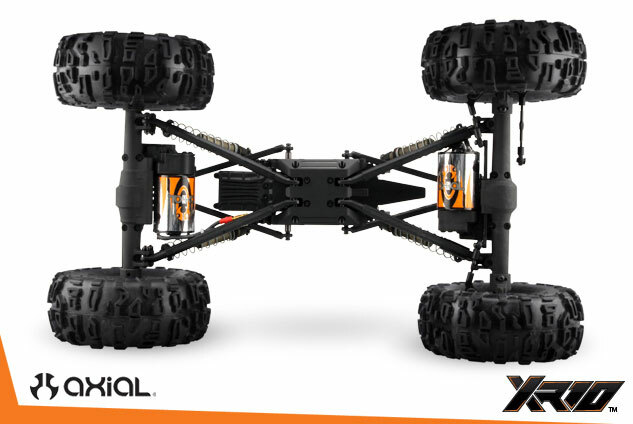 Rear axle is 16mm narrower than the front axle to squeeze through tight gate layouts. 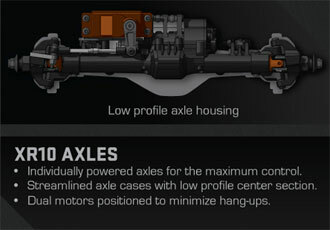 All New Behind the Axle (BTA) Steering *pat. pend. 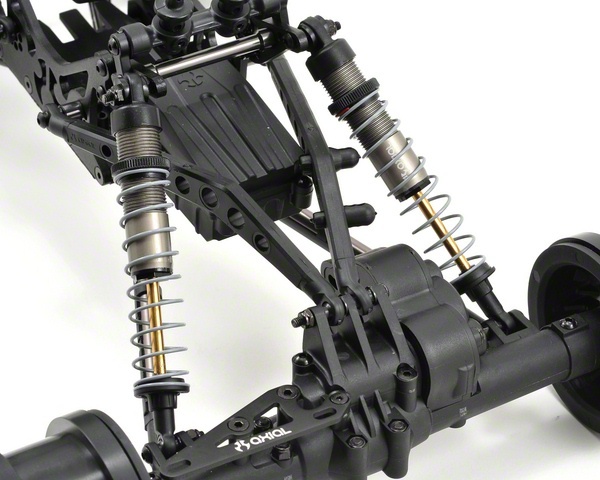 Enclosed steering slide with turnbuckles to adjust toe in and toe out. 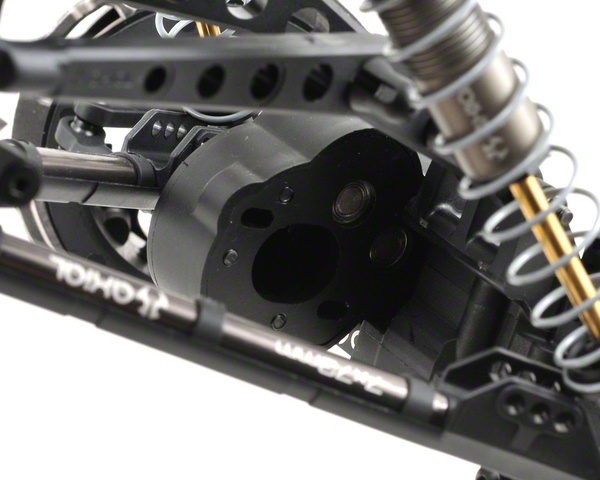 8o kingpin angle helps keep scrub radius to a minimum, which equals less stress on your steering servo. Durable composite plastic - strong double shear knuckle arms with replaceable aluminum draw link mount. 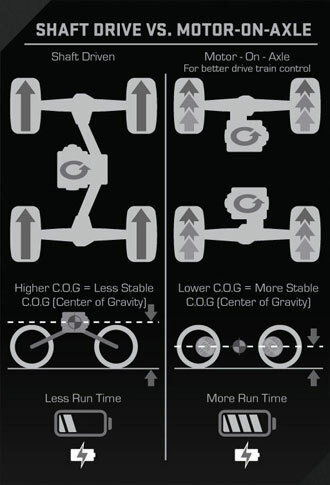 Splined adjustable c-hubs provide caster adjustments in 15o increments. Oversized 12.5mm universals with 4mm and 2.5mm cross pins. 37.9:1 gear ratio using the included 14T pinion. 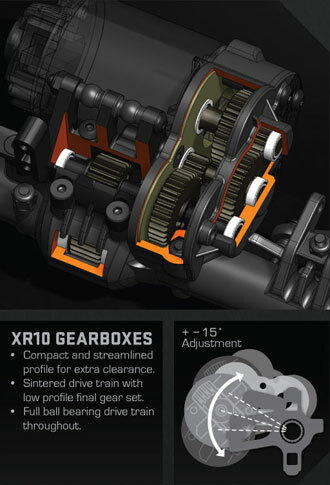 Gearbox allows for use of 12-19T pinions for gear ratios ranging from 44.2:1 through 27.9:1. 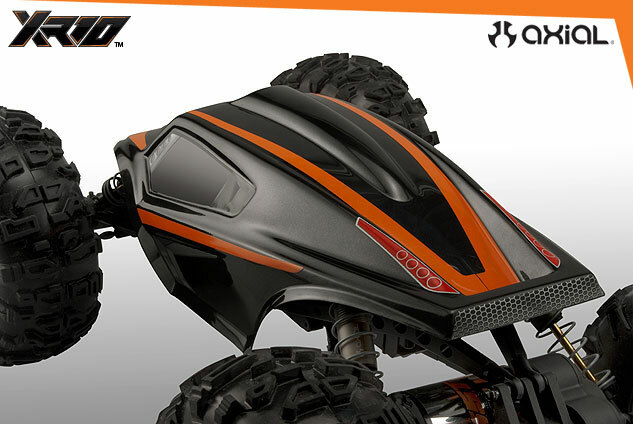 Dual motors allow you to easily adjust your front and rear gear ratios independently. 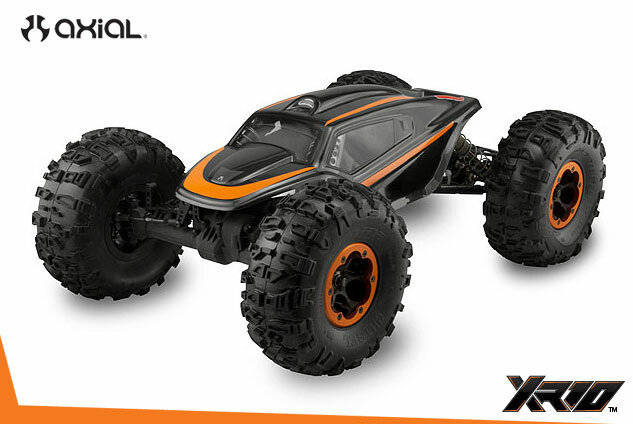 Compact and lightweight gearboxes keep the motor positioned closer to the axle housing and above the axle centerline for extra clearance. Aluminum chassis plates with durable composite plastic skid plate. 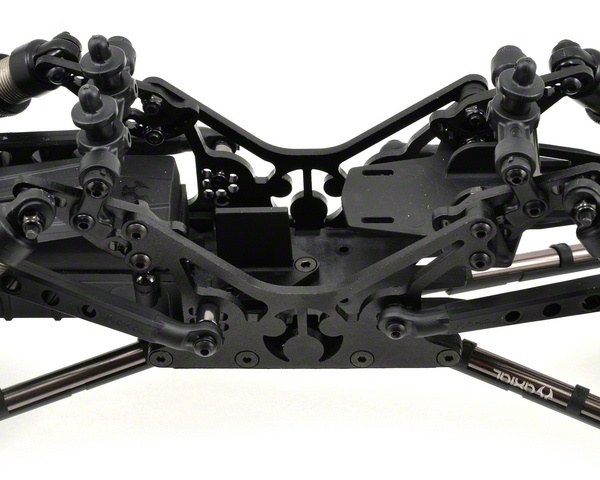 Chassis provides multiple upper link adjustment holes for suspension tuning and adjusting anti-squat. 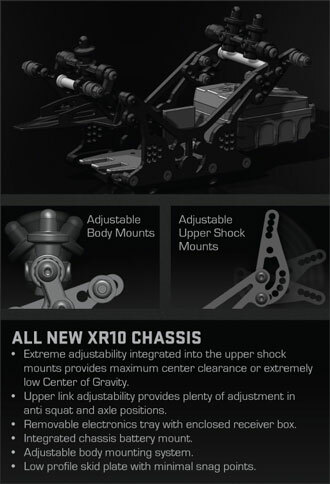 Adjustable upper shock mounts included for fine tuning ride height and can be catered to your own personal driving style. 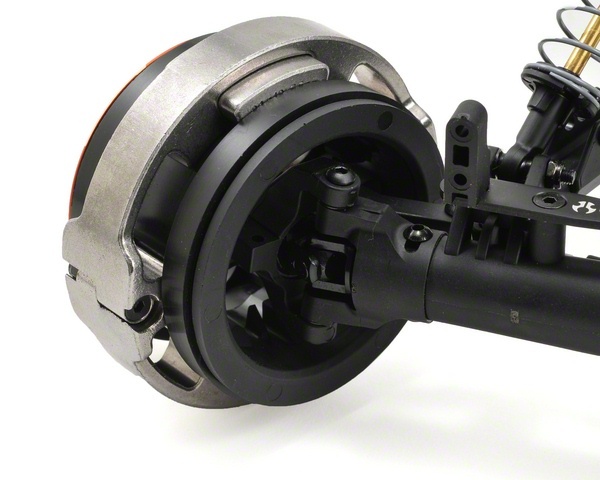 Adjustable body mounts provide finite adjustments for different angles and heights. Waterproof receiver box with wire routing guides for cleaner electronic routing/configuration. Low profile battery mount places the weight of the battery at a lower position in the vehicle to help lower the center of gravity. Oversized rod ends with large 7mm aluminum links and durable composite plastic sleeves (replaceable). Light durable composite plastic upper links also aid in lowering the center of gravity. Includes CNC orange anodized rings. 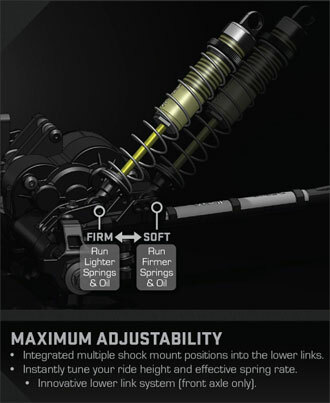 72-103mm shocks: includes aluminum bodies and 10mm machined Delrin pistons. 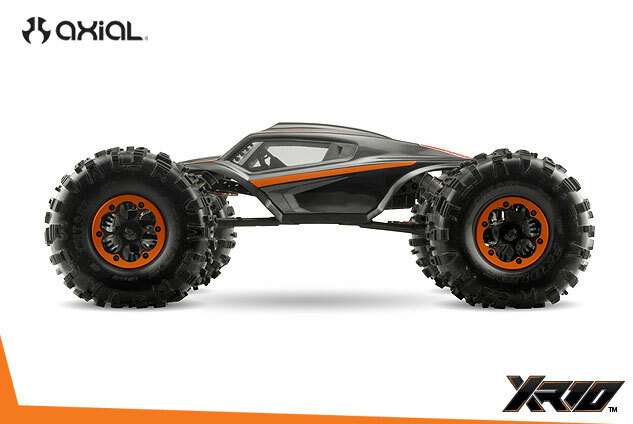 Competition inspired body — design, layout, and size all catered for optimum performance. 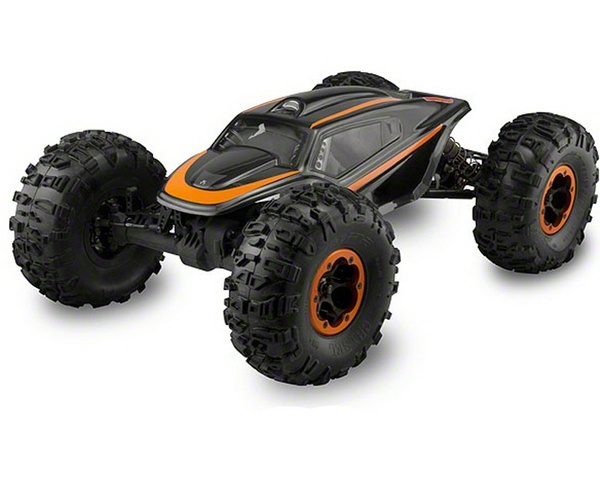 *Note: The height and ground clearance were measured with Pro-Line Chisels and memory foams with no weight added to the wheels.